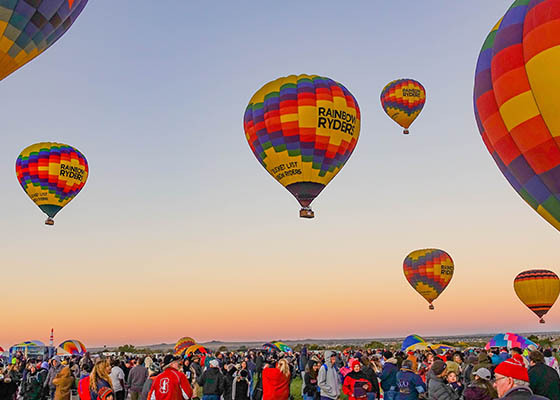 Albuquerque encourages newcomers to soar to new heights – and not just on the city’s famed hot air balloons. The area is an eclectic mix of history, culture, outdoor activities and intellectualism, making it easy to find a home and settle down here. 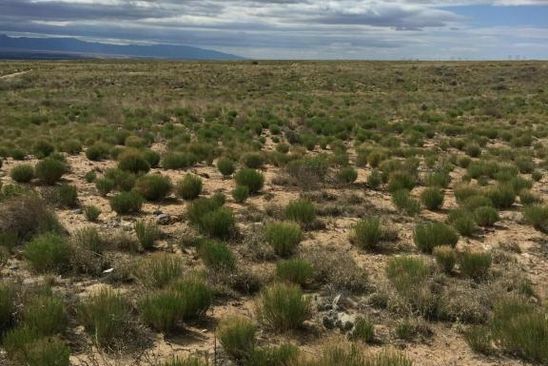 Located smack dab in the middle of New Mexico, Albuquerque homes for sale are currently listed at a median price of $212,650. 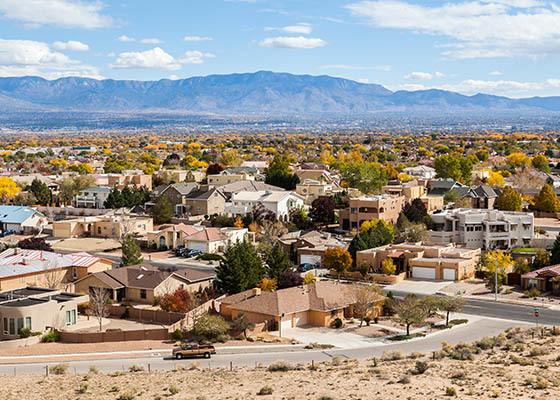 Albuquerque homes for sale can be found in popular and welcoming neighborhoods like the planned community of Ventana Ranch, ultra-walkable Nob Hill and the Foothills, which is adjacent to the Cibola National Forest. Albuquerque has the highest elevation (5,312 feet) of any metropolitan city in the country, which provides locals with an opportunity to enjoy world-class skiing in the Sandia Mountains, followed the same day by golf or tennis at one of the local courses or courts. 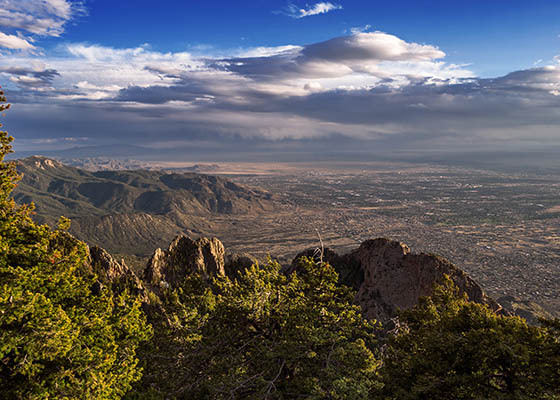 Speaking of the mountains, the high point east of the city known as Sandia Crest (10,378 feet) offers a breathtaking panoramic view of over 11,000 square miles. North America’s longest aerial tramway, located just north of Albuquerque, takes just 20 minutes to transport people up to the peak, where they can then enjoy a meal, as well as spectacular views of the city and the Rio Grande Valley. Albuquerque’s rich cultural history is seamlessly blended in with modern times. The city, founded in 1706, is located squarely in Indian pueblo country, and is known for being North America’s oldest farming civilization. “Old Town” Albuquerque, where the city was originally founded, is a popular meeting, shopping and dining space for tourists and residents alike. Immediately west of Old Town runs the world-famous Rio Grande River. Enjoying authentic New Mexican cuisine and tours of old missions, ruins and “ghost towns” are the perfect experiences for newcomers and out-of-town visitors, as is a trip over to historic Route 66. Albuquerque is home to several relative rarities, including five extinct volcanoes. It’s also known as the hot air balloon capital of the world. On any given day, it’s not unusual to spy a balloon or two in the air, but locals can expect to see many more dotting the sky during international competitions. The Duke City is also the primary site of the country’s nuclear research program. A number of local festivals and fairs, including the New Mexico State Fair, held every September, pepper the city’s calendar.